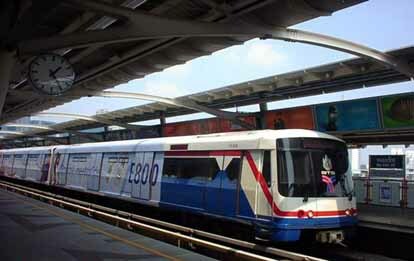 Foreign investors interested in the Phuket light rail project, with an expected budget of 20,000 million Baht. On April 5th, Mr.Tri Akkaradecha, Phuket Governor, met Gold Phoenix Construction Consultant (Thailand) Co. after the Cabinet approved the Phuket light rail project. They discussed basic information about the project and studied the routes so Gold Phoenix could calculate the budget. There are 3 proposed routes: Airport-Phuket Town, Phuket Town-Patong, and Phuket Town-Chalong Circle. From what Gold Phoenix has surveyed, the BRT system similar to that in Bangkok would be suitable for Phuket, but slightly smaller. As for budget, it would certainly not be less than 20,000 million Baht. Moreover, Gold Phoenix is also interested in building the Patong Tunnel and has already met Patong Mayor to discuss the project. However, Charles JS Wang, Chairman of JS Rock Capital Ltd., said they are also interested in working on the light rail project because Phuket has good potential due to its booming tourism.